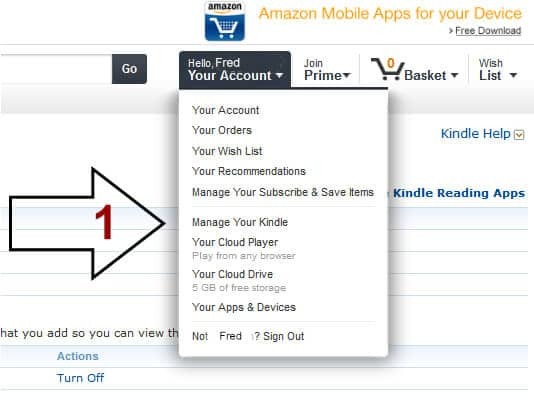 This is a quick overview of how to set up Amazon to deliver book updates as they’re released. 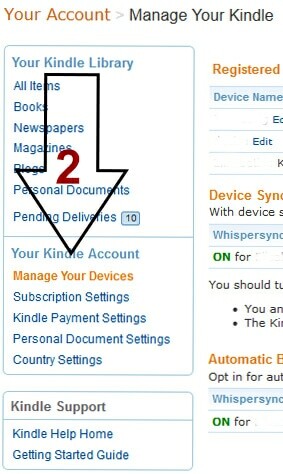 Your Amazon account has a feature called Manage Your Kindle. You will find this when you hover your mouse over Your Account link. Click on that and it will take you to your Manage Your Kindle page. Then go to the left hand column and click on Manage Your Devices. 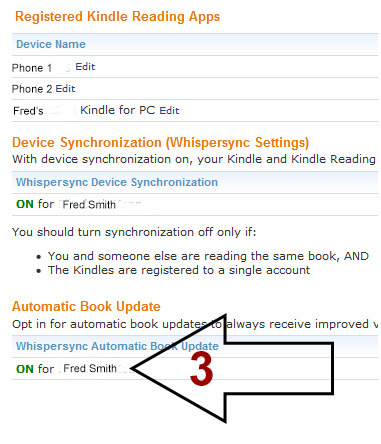 Make sure all your devices are listed and that both Whispersync and Automatic Book Update are on. Whispersync will make sure that the book will open to the page you were last on, no matter what device is used. Automatic Book Update will make sure that you will get the latest version, if there’s a revised version of the book issued. One other setting that might come in handy is the Country Settings, which allows you to change which Amazon store you can download from.